DESTINATION weddings are becoming more and more popular, but Amelia Jater had just one final wish for her special day: to trash the dress. 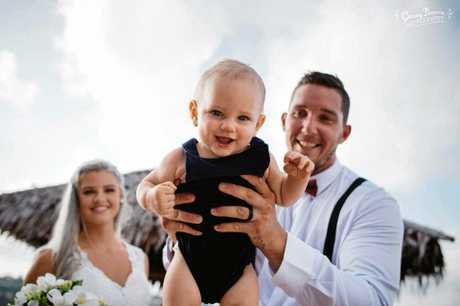 The Bundaberg woman tied the knot in March with her partner of four years Tyson, who saw their marriage as an opportunity to gather their beloved friends and family, and make it into a holiday to remember. 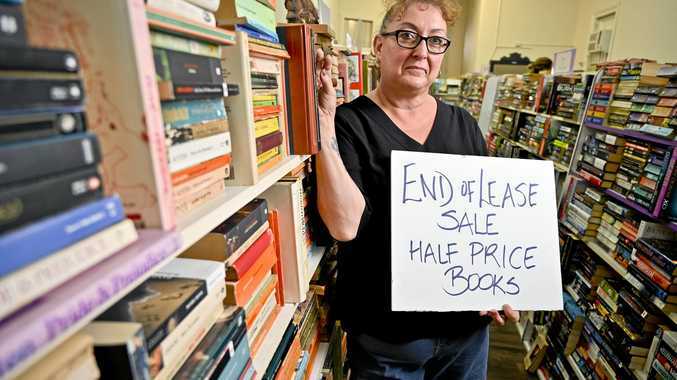 "We had been on a cruise to Vanuatu before, but felt like we didn't get to see as much of it as we'd liked," Mrs Jater said. "We had both always wanted a beach wedding, so we thought it was a good chance to get everyone overseas that hadn't been before, and everyone loved it." The bride had heard of the 'trash the dress' trend before and decided it was the perfect opportunity to live out her mermaid dreams. "I was nervous because I didn't want to wreck the dress, but I knew if I went home without doing it, it would be something I'd regret," Mrs Jater said. "We were fully submerged and it was so exciting." Although the couple have some epically stunning images of their day, the most memorable moments are the expected ones. "Walking down the aisle is the most surreal part of it all," Mrs Jater said. Mr Jater said having his father there, who is his hero and his idol, was something he would hold close to his heart forever. The couple said having their baby son Ocean there to share the day with was something special. "His name probably says more about us than anything," the couple laughed.